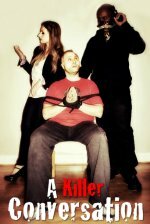 Your new movie Killing Joan - in a few words, what is it about? And what can you tell us about your character in it? 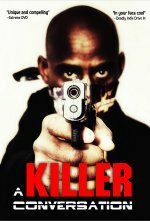 Killing Joan is a horror/suspense thriller. Joan, an enforcer for the mob, enacts her revenge on those who wronged her. 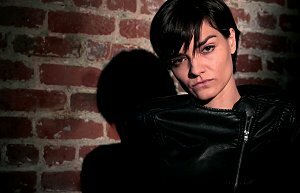 I play Joan, who comes from a troubled past and who grows up to be quite an angry, explosive tyrant of a woman. She was picked up from the streets and shaped into a killing machine by her mob boss, Frank, played by a wonderful actor - David Carey Foster. Joan does Frank's dirty work and is the leader of his crew. There is more to Joan's character other than anger that we find out about throughout the film. 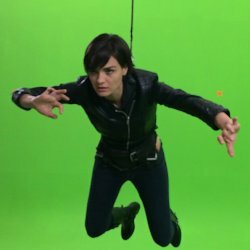 What did you draw upon to bring your character to life, and how much of Jamie Bernadette can we find in Joan, actually? I've known people with troubled pasts who carry that pain with them into adulthood and I used that to become my character. I think there is a little of Joan in each of us. There is heartbreak and disappointment and pain and anger. There is hope and love too. That's life. Joan just tends to wear all of that on her sleeve a lot more than most of us do. She can't hold herself back from acting in such ways that society views as discourteous and taboo. She really doesn't care what people think of her, or so she tells herself. She wears so many facades and I think that so many people do; however, she unveils her true self for the one person she loves, just as we humans so often do. To what extent could you identify with the film's whole supernatural/gangster theme? There is so much to this story that will keep the audience guessing. On the surface, it is a supernatural/gangster story but when you see it, it is so much more than that. I can't get into too many details because I can't give anything away, but I can say that this film is like nothing I have ever seen or read. I read the script so many times before we filmed and then as we were filming, I would discover so many new things about Joan and about her story that I hadn't realized before. I was discovering as my character was discovering. One question that this film will ask audiences indirectly is: "Who are we really?" From the sound of it, Killing Joan involves its fair share of action - so what can you tell us about the movie's action scenes, and how did you prepare for them? Oh, the action scenes were so intense! 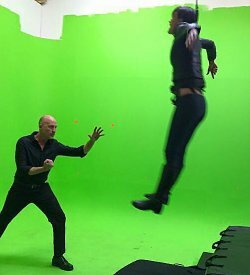 I have done my fair share of fight choreography and falls so that was not new for me. However, I had never been floating in the air or rigged up to wires so that I'm hanging and flying back and jumping high into the air, etc. It was an incredible experience and I learned a lot. Our stunt coordinator, Erik Aude, who also plays "Miles" in the film, was absolutely amazing and so helpful. To be an actor who does his/her own stunts, I think the physical preparation is a way of life. I work out regularly to keep my body in shape and I think that is an absolute necessity when you are doing this kind of physical work in your films. I auditioned for the role and then a couple months later I had a 2.5 hour callback audition wherein I read with so many different actors playing other roles. There were other potential "Joan"s there auditioning as well who were reading with different actors. 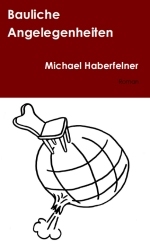 I read scene after scene, some of which was a cold read. I had read the entire script before the callback so I felt I knew Joan. I actually felt pretty comfortable in her shoes at the first audition. I just knew who she was right away. I loved her too. I just felt I WAS her. It was surreal. What can you tell us about your director Todd Bartoo [Todd Bartoo interview - click here], and what was your collaboration like? Todd creates a safe space for his actors to create in, which I think is one of the most important skills for a director to have. I felt comfortable with Todd immediately. It is just one of those things that you can't explain. You can do no "wrong" while acting in front of Todd, and because you can do no wrong, you feel safe to interpret his wonderful writing the way you imagined it and you feel safe to play and try new things. He would come up and talk to me quietly on set about the head space of the character, the "moment before" the particular scene we were about to do, and that kind of thing, which I really appreciated because so much of the acting that I had to do was so emotional and I, as a character, had so many different thoughts and feelings going on all at once inside of me. Everyone was really awesome and they made me feel like a queen! I loved all the cast and crew. They were all so sweet and supportive. We had to get a lot done in a short amount of time so we were rushed sometimes. The script was a large feat to undertake with all of the special effects and so many characters to get coverage on, but we got it done. I just completed a wonderful horror/adventure film All Girls Weekend by the brilliant writer/director Lou Simon (Agoraphobia) [Lou Simon interview - click here]. It's tentatively scheduled to be out this fall in time for Halloween. 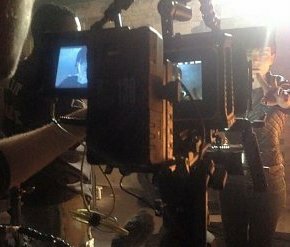 State of Desolation, the post-apocalyptic film that wrapped in November 2014, is well on its way to completion also and we may see that out at the end of 2015. The comedy I'm in What Now is releasing all over on VOD and cable April 3rd. 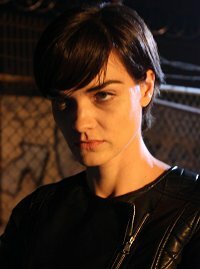 I play Becca, an angsty goth chick. I don't think so! Thanks for the interview, Mike!